Some fruits have pits — but what about using fruits and other plant-based foods on your own pits? Ha, I know that sounds weird, but hear me out for a second. Have you ever eaten a lot of garlic, only to realize that your skin seems like it could slay a vampire the following day? You’re not imagining it — you are what you eat. And when it comes to how you smell, there’s a direct correlation between your diet and your personal scent. When it comes to my pits, I stopped using conventional antiperspirants about two years ago and have never looked back. I know that many women would like to also avoid these highly toxic products, yet when they try natural alternatives, they’re not strong enough and are forced to use them once again. We often focus on how we can mask the scent of smelly pits externally, but often forget that we can impact how we smell internally. In addition to an all-natural deodorant made with just two ingredients, switch up your diet — your body, mind and pits will reward you. Before we jump into how you can sweeten the scent of your pits, I want to review a study that showcased the power of food in terms of one’s scent. While studying a group of males, researchers found that those who consumed large amounts of fruit and vegetables smelled the most attractive to women. They exhibited an odor that was both floral and sweet. Men who ate large amounts of meat, tofu and egg also smelled fairly pleasant. Those who ate a greater intake of bread, pasta and other carbs tended to have the least enjoyable aroma. The researchers concluded that in terms of an interaction between both sexes, a man’s body odor may actually be a signal of their health. Other indicators, including yellower skin (caused by a greater intake of carotenoid-rich foods), are known to be more attractive to women. Similarly, when nine women were asked to smell the sweat from 43 men, those with higher carotenoid levels were said to smell sweeter. Hmm, we’re onto something here. When it comes to the human body and our health, we often don’t notice the most obvious signs. The symptoms that many people experience on a daily basis, including fatigue or pain, are signs that something is wrong and that the body is imbalanced. We’re so quick to take medication, masking these symptoms, that we often ignore what’s really going on. Body odor is no different. And if you really pay attention, you’ll achieve greater insight into your current health. Although some claim that armpit odor is caused by bacteria, other experts aren’t convinced — after all, our whole bodies are covered with bacteria. Some experts believe that when armpits sweat and have a bad odor, it comes from the toxins our bodies are trying to eliminate. Like the medications we’re so eager to take, deodorant products hold the same principle — masking an undesirable symptom. If you try to stop using deodorant and you can’t stand the stench, it may be your diet you need to change, not your beauty regimen. For the most part, manufactured foods — including refined white flour, processed sugars and hydrogenated oils — are some of the worst culprits. In many ways, a plant-based diet will encourage internal deodorization. That’s because key phytonutrients help cleanse your body, transforming your body’s natural scent. Which foods should I eat for sweeter smelling pits? At this moment, you more than likely have all the support you need waiting for you in your fridge or within your very own backyard. As you consume more plant-based foods, your health will begin to transform, resulting in a naturally fresher scent. Give it a shot with these cleansing foods. 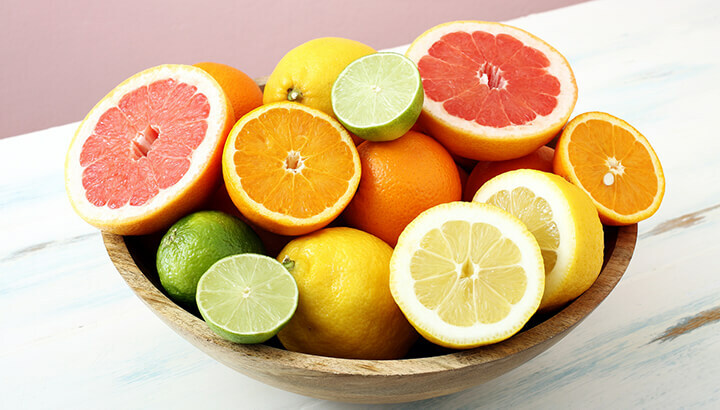 When you eat more citrus fruits, whether it be grapefruit or lemons, the acid content will help flush water throughout your body. Their fiber content also encourages your body to flush out toxins that often contribute to body odor. These fruits will also help balance your pH, a key factor when experiencing strong body odor. Although garlic is great for your health, it contains a compound that cannot be broken down during digestion. This is why it’s often smelt on our breath and through our sweat. Of all the foods researchers have studied to banish bad garlic breath, apples appear to be the most effective. The researchers believe that this is due to an apple’s ability to deodorize the enzymes found in garlic. In addition, spinach, green tea, parsley, lemon juice and mint were also highly effective. Once again, this study is a classic example. It showcases the ways foods influence our external scent. When we have bad breath, most of us reach for a piece of gum. It’s often synthetically flavored to taste like mint. From improved digestion to improved oral health, mint should be a part of everyone’s regular diet. It’s a scent that we associate with fresh breath, but can mint also freshen up your sweat? As mentioned in the previous study, researchers found mint to be highly effective when aiming to reduce the scent of garlic. Containing both chlorophyll and menthol, mint helps neutralize body odor. Like sage, it will potentially reduce the overall activity of sweat glands. 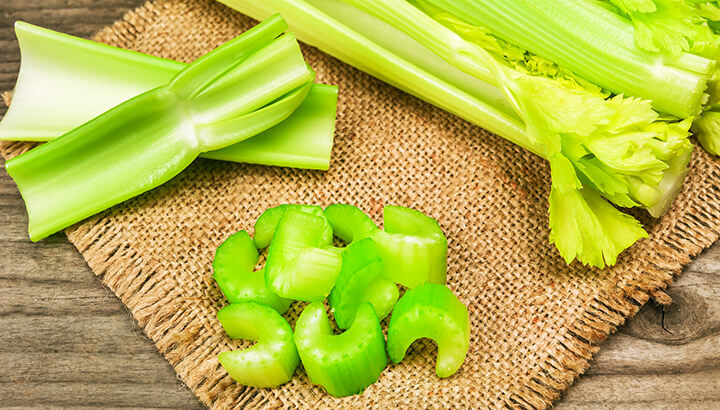 If you think celery is boring, think again! Offering nutrients such as vitamin K, potassium and folate, each and every stalk is packed with androstenol and androstenone. In turn, this causes natural pheromones to be released, making men smell more attractive to women. Both parsley and cilantro should be consumed on a regular basis, promoting detoxifying properties. Rich in chlorophyll, these herbs cleanse the blood of toxins. As you cleanse your body internally, these toxins (which result in bad odor), do not have a chance to reach the surface. At the end of the day, the fewer toxins you have in your body, the less toxic material needs to be excreted and the less odor you’ll experience. Seems pretty straightforward, doesn’t it? A cleaner diet equals fresher smelling pits. An unhealthy diet equals foul-smelling pits. So, ditch those toxic sticks of deodorant and start chomping on more celery! Hey Buddy!, I found this information for you: "Oranges, Apples And Celery Can Make Your Pits Smell Better. Here’s Why". 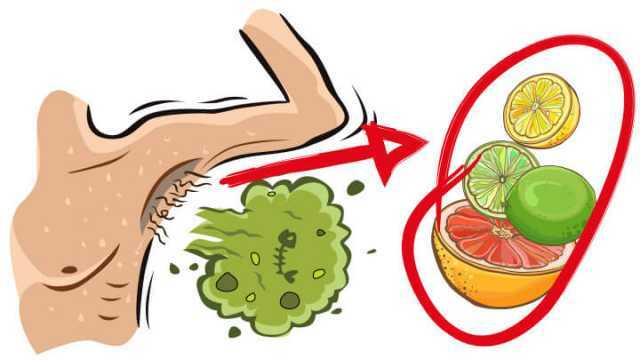 Here is the website link: https://www.thealternativedaily.com/eliminate-body-odor-with-foods/. Thank you.